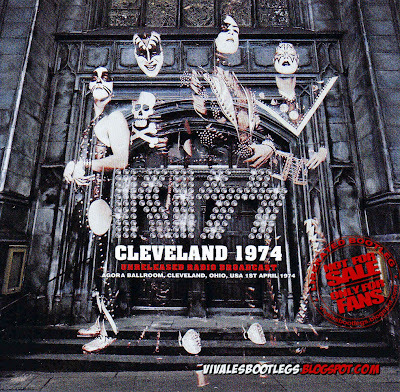 Recorded Live at Agora Ballroom, Cleveland, Ohio, USA - April 01, 1974. Files: 8.:: Size: 204,45 MB (flac). 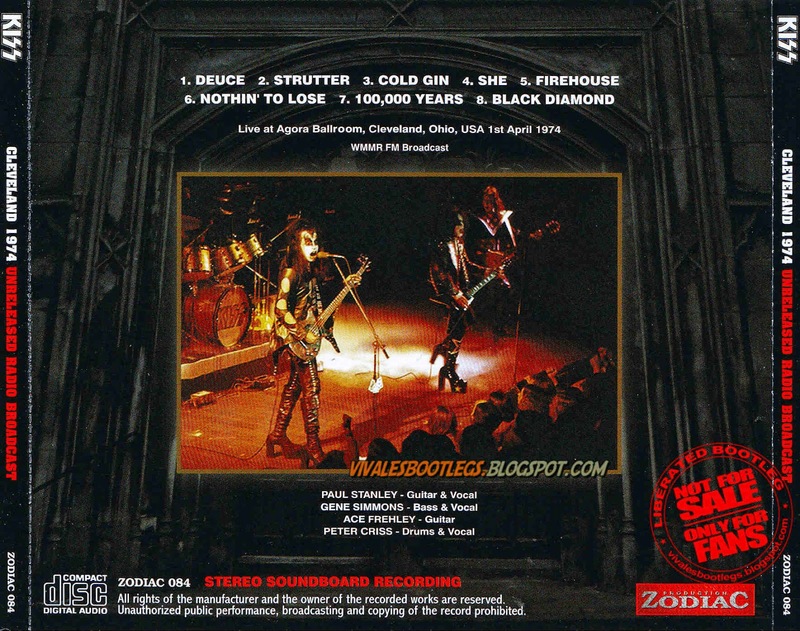 Personnel: Paul Stanley – rhythm guitar, lead vocals / Gene Simmons – bass guitar, lead vocals / Ace Frehley – lead guitar, vocals / Peter Criss – drums, vocals . 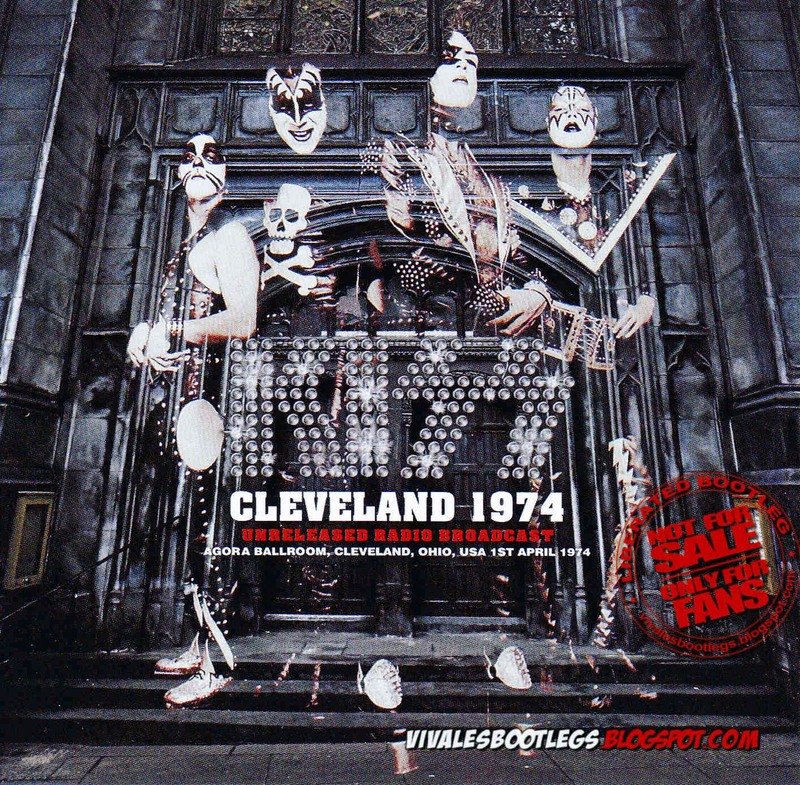 Notes: KISS’ first visit to Cleveland in April 1974 found the up and coming band opening for Rory Gallagher at the 1,200 capacity Agora Theatre. Local radio station WMMS would routinely feature live broadcasts of musical acts from the theatre as part of their “Nights Out At The Agora” series and while the station did broadcast Gallagher’s set, nothing has ever surfaced of KISS performance. According the KISS Alive Forever they did not broadcast KISS, but a recording did exist and eventually did surface a few months back to the masses via a couple torrent sites. The recording is special, it is the earliest known broadcast of a KISS concert and since WMMS had been doing live broadcasts for some time one could expect excellent quality. Well, the quality is excellent, clear and detailed with virtually no hiss...<-(Info taken from original info file).